National CBD office market vacancy rate fell slightly in the first quarter of 2016, from 12.6% to 12.4%, with Sydney continuing to improve and Perth going from bad to worse. The JLL research showed vacancy rates in the Sydney office market now stand at 6.8%, while in Perth nearly 25% of office space is empty. The figures showed positive net absorption of 67,300 sqm over the quarter across CBD office markets and 273,000 sqm over the past 12 months. “One of the drivers of leasing activity is companies seeking to evolve organisational culture. Real estate is a visual element of corporate culture and the implementation of an innovative fit-out can assist with collaboration, innovation and team work,” said Mr Ballantyne. The Sydney CBD recorded positive net absorption of 35,800 sqm in 1Q16 and 145,700 sqm over the past 12 months. As a result, the Sydney CBD vacancy rate tightened from 7.8% in 4Q15 to 6.8% in 1Q16. Vacancy is now below 7.0% for the first time since mid-2008 in the Sydney CBD. 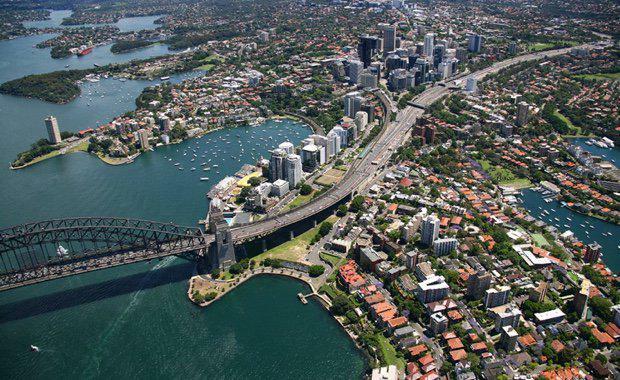 “The compulsory acquisition of assets for the Sydney Metro project and the conversion or redevelopment of office assets will displace tenants and is generating an additional source of leasing enquiry in the Sydney CBD. Over 300 tenants are in the process of being displaced and this will exert downward pressure on A and B Grade vacancy rates and upward pressure on effective rents,” said Mr O’Connor. Prime gross effective rents in the Sydney CBD increased by 2.9% in Q1 and by 11.3% over the past 12 months. From the most recent trough in prime gross effective rents (4Q13), Sydney CBD prime gross effective rents have increased by 15.9%. The Melbourne CBD recorded 31,400 sqm of positive net absorption in 1Q16 and 107,000 sqm over the past 12 months. As a result, the vacancy rate compressed from 10.0% in 2015 to 9.2% in 1Q16. While the physical market recovery in Melbourne has mirrored Sydney, Melbourne CBD rental growth has underperformed relative to the Sydney CBD. Prime gross effective rents increased by 0.7% in 1Q16 and by 2.5% over the past 12 months. While Sydney and Melbourne were responsible for a high proportion of CBD office market net absorption over the quarter, five of the six monitored CBD office markets recorded positive net absorption over 1Q16. Canberra recorded above-trend net positive net absorption of 13,700 sqm in 1Q16 and 27,800 sqm over the past 12 months. As a result, Canberra’s vacancy rate tightened to 13.4% in 1Q16. JLL recorded a fifth successive quarter of positive net absorption in the Brisbane CBD. Net absorption was 2,600 sqm in the quarter and 22,100 sqm over the 12 months to 1Q16. The Perth CBD was the only monitored CBD office market to record negative net absorption in 1Q16 (-17,100 sqm). A number of mining and professional services firms relinquished excess space and vacancy increased to 24.5% – the highest rate since 1993. Prime gross effective rents fell by 5.1% in Q1 and have contracted by 43.1% from the cyclical peak in mid-2012. The Adelaide CBD recorded net absorption of 1,000 sqm in 1Q16 and vacancy tightened to 16.6%.